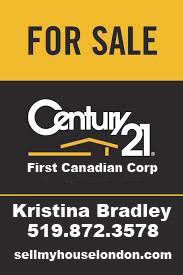 List your London home for sale with Kristina Bradley and get a real estate agent and a marketing expert. 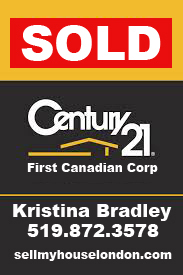 Specializing in home sales in London, Ontario, I have a thorough knowledge of London’s neighborhoods from Wortley Village to new urban markets. 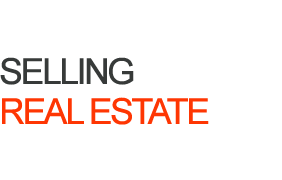 As a leader in marketing London’s most sought after properties, this Realtor has achieved unparalleled success thanks to a focused digital marketing plan, a powerful “organic” web presence, and an unmatched level of traditional customer service. What sets me apart from the other Realtors? I operate my business online. As a professional online marketer and social media expert, I have assembled a digital marketing plan that includes state of the art tools: websites, videos, blogs, social media and organic internet marketing. With 98% of buyers searching online for homes it’s a mistake not to maximize your internet presence. More and more, buyers are being introduced to properties online. Pictures and videos matter. Before we take any picture, make sure your home has been properly de-cluttered, inside and out, and consider staging tips that will make the rooms appear larger. Your iPhone pictures will not impress anyone. Make sure all photographs are taken by professionals. In addition to the MLS, your home needs to be marketed on social media and should be directly advertised to other real estate agents, here and abroad, who are more likely to bring a buyer to your home. Foreign investors want Canadian real estate, as they view it as a safe investment. We need to reach every potential buyer. A home is likely to attract the most interest within the first two weeks it is listed for sale. If the home is overpriced, buyers will move on. Be realistic when you set a sale price. We will check out the competition and see what recent sales have been in the area and which homes we are competing against. Remember, the longer a house sits on the market, the more likely that people will start asking whether something is wrong with it. Buyers want to see your house. Shocker right? You never know when a potential buyer will want to see it. It might be late in the evening or at other times that are not always convenient. If you say no, the buyer will typically just move on to the next home for sale, where the owner is more accommodating. And if there is, I will tell you. For example, if families have children they will likely want to have the sale close before school starts to avoid disruption. Since closing usually happens within 60 days of a signed offer, we’ll want to try to ensure your sale happens between the months of April and June as people generally want to get moved so they can go on vacation in the summer. Another piece of advice? Contrary to popular belief, Spring is not necessarily the best time to list your house. Ask me why. If you think I’m expensive wait until you hire an amateur. It should never be about choosing the one with the cheapest price. You have too much money riding on this choice. Ask any agent you interview about their own marketing plans and social media presence, and above all, get references. In addition, ask a simple question: Why should I hire you? If they can’t demonstrate why they are different, move on. I’ll be waiting.